A superb, close-cut precision mower ideal for maintaining fine-turf sports surfaces, such as bowling greens or cricket wickets, and first-class ornamental lawns. Powered by an economical, low noise, easy-start Honda 196 cc four stroke engine with handle-bale-bar engagement roller drive. 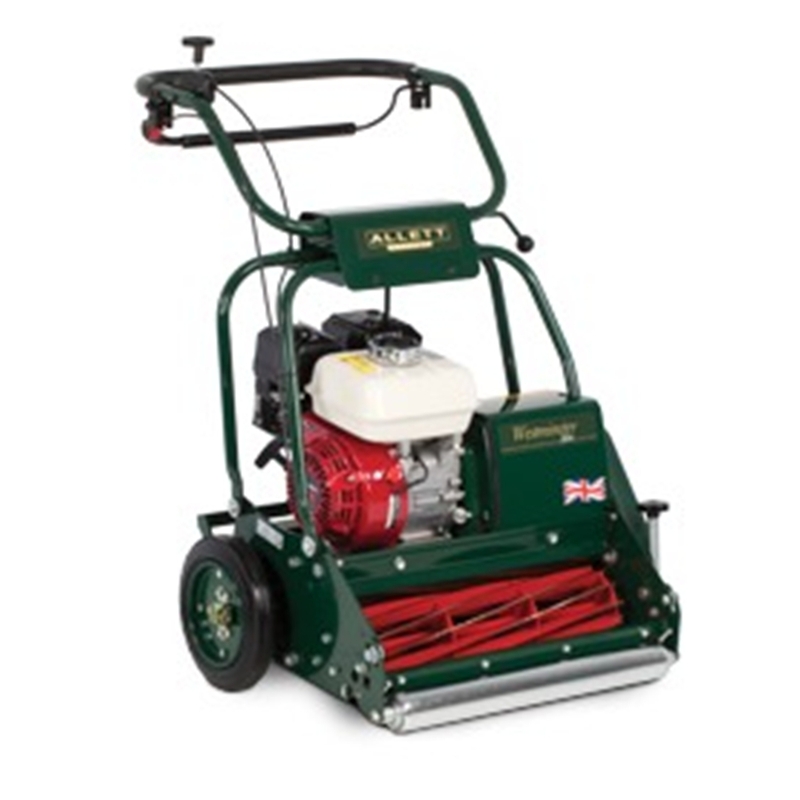 It has a 20" / 50.8cm 12-bladed cutting cylinder which produces 145 cuts per metre, leaving a fine, level and even finish, enhanced by an adjustable static rake that lifts the grass immediately before cutting. It features an infinitely variable micro-cutting height adjustment across a cutting height range of 2.4mm to 19mm and a double section aluminium rear roller. A side wheel kit is also available to protect the roller whilst being transported to and from the cutting area.